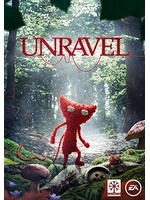 Since there is no sign of any direct feed videos from EA (other than Youtube that is), we decided to edit the replay of our French live stream of the press conference to show you the trailer of Unravel. It is without a doubt a game that makes us want to slam our money down, so enjoy. Note: You'll hear Blim typing at some point so we apologize but there was no other way we could show you this jewel. 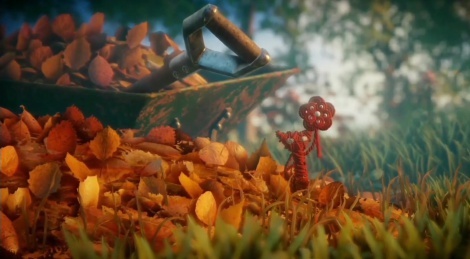 Thanks so much, this game looks gorgeous and the gameplay seems very interesting and fun! Definitely a highlight from the EA press conference. PS. Not to start any controversy, but it almost feels like Youtube paid for or are demanding videos exclusivity. Even Microsoft is the same, which is very unusual for them. Hopefully, it will only last for a couple of days at most. Microsoft have been using Youtube only since before Xbox One was released. Oh, I didn't know that. I though they always sent Gamersyde high quality/direct feed videos. Or that they authorized it through the Xbox Wire site (Microsoft still hasn't updated it with today's content), which has media assets for both the press and the public. Sorry then. I just hope that Bethesda, Microsoft and EA start sending Gamersyde high quality videos soon, because Youtube is really, really bad. Though I don't need to tell you that. Let's wait and hope for the best. This was definitely a thing of beauty.